Issues? These People have a Subscription!! Hello all! 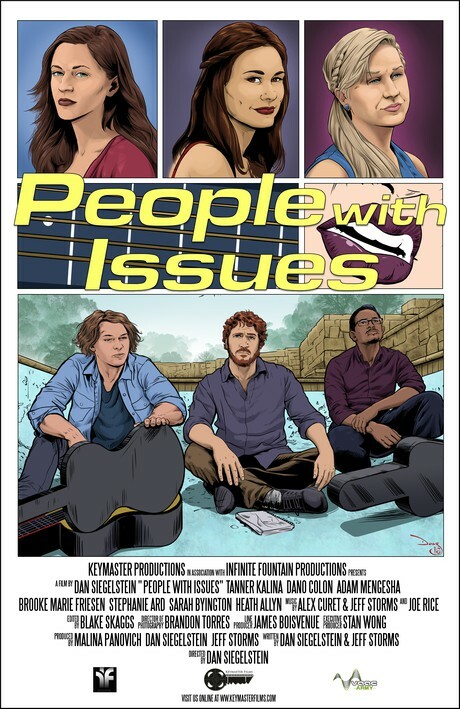 McEric here with a film review I’m excited to share with you: Dan Siegelstein’s PEOPLE WITH ISSUES, recently released to VOD/DVD by Nandar Pictures. PEOPLE is a romantic comedy in the vein of early Cameron Crowe, Richard Linklater, or Kevin Smith, in that it offers the off-the-cuff feelings and experiences of quippy twenty-somethings navigating love and identity in the effervescent art community of Austin, Texas. The film began as a 14-minute short, then became a web-series, and has now been realized as a full-length feature film. Jeff Storms co-wrote the script with Siegelstein, as well as co-produced the film and composed some of the stellar music peppered throughout. 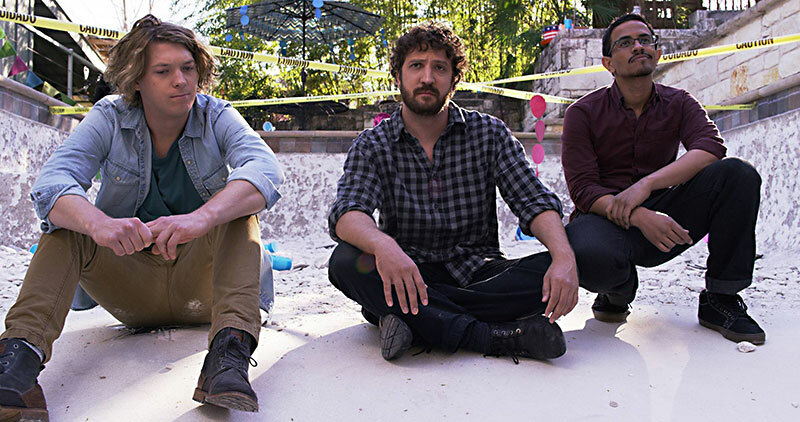 Centering around three friends and their, well, issues with relating to other humans, Siegelstein crafts a comedy vehicle around a tight Troika of toxic masculinity and adult immaturity that would be heartbreaking if it weren’t so relatable. And funny. Opening the film is Darren (Dano Colon, a true standout among the cast) pontificating on the collector comics industry’s Conditions scale, so the viewer has a notion of what kind of movie they’re about to watch. But don’t let his hang-ups on the banality of geekery fool you; he’s a fully-realized character with a rich backstory and more pressing concerns than pressing pages. A bustle of jittery energy throughout the largely one-sided conversation is Aaron, played by Adam Mengesha, whom we later learn is probably the most socially awkward human put to film since every character Woody Allen has ever played in a Woody Allen film. It’s hard to tell if Adam’s performance is meant to be character work or own actor’s inexperience and discomfort, but as the movie progresses it plays well to Aaron’s arc. Rounding out the trio is Jack, played by Tanner Kalina (Linklater’s EVERYBODY WANTS SOME), a cool customer oozing with charm rendered powerless by the appearance of his ex Roberta at the house party that houses the narrative of the film. The party, hosted by Jen (a near flawless performance by Brooke Marie Friesen), opens and ends the film, giving the viewer a homebase from which to slide into flashbacks and cutaways, featuring the four and their various romantic counterparts. It is in these scenes that we see the good, the bad, and the ugly of our “protagonists”, as well as the film’s finest comedy. Though not perfect, the film is bolstered by great music, gorgeous locations, and palpable chemistry throughout.My personal favorite aspect of the film was the original artwork peppered throughout, as both Darren and Roberta are visual artists; a comic-book illustrator and surrealist painter, respectively. Add to that the original compositions of Aaron’s and Tanner’s ill-fated band (which hilariously never quite settles on a name) and the artistic investment into this film’s vibrant subculture comes to bristling life. Perhaps that’s where the people and their issues speak to us: as a mirror to ourselves. In my opinion, film can aspire to no loftier goal than to give us reason to look within ourselves and understand the human animal just a little bit better. And if we can laugh while we’re doing so, then all the better. If you’re aching for a human comedy in the vein of SINGLES, CLERKS, or SWINGERS, then I’ve found just the people you want to see. 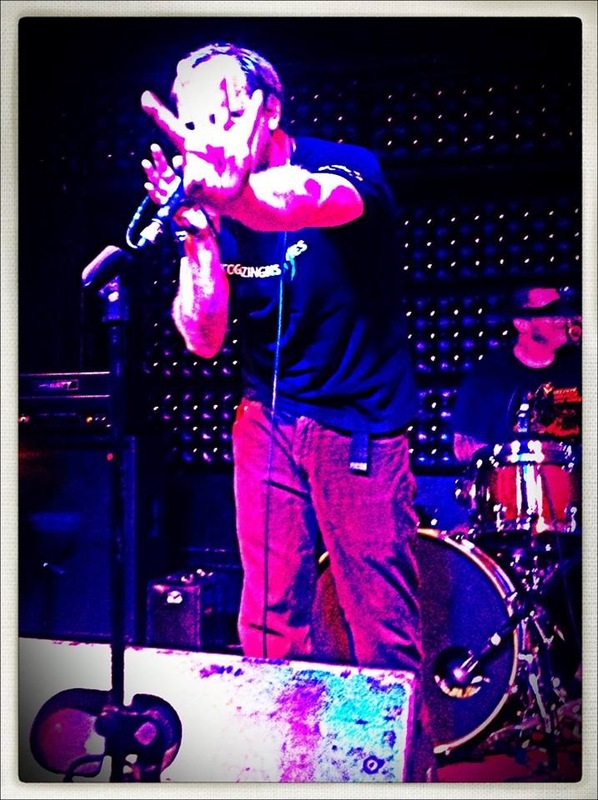 PEOPLE WITH ISSUES is available now through Video-on-Demand and DVD.